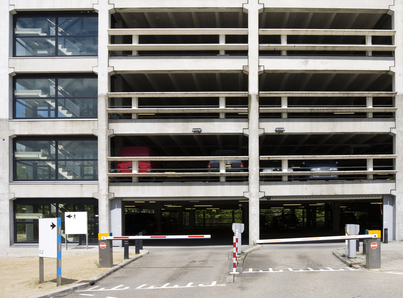 Local political parties are keen to reduce the number of cars in city centres but shops will be hard hit if plans go ahead, the Dutch retail association Detailhandel Nederland said on Friday. The retail group has analysed the manifestos for 12 of the Netherlands biggest cities and found that one in four parties has plans to reduce car traffic or close off areas to cars altogether. The plans include removing parking spaces and banning more polluting cars. However, consumers who want to use their cars because public transport is poor or because they plan on making a major purchase will no longer feel welcome in the city, said chairman Guido van Woerkom. ‘They’ll either give up or buy on line,’ Van Woerkom said. Scrapping 10,000 parking places in Amsterdam, 2,000 in Rotterdam or closing car parks in Utrecht derives from a policy of ‘targeting cars rather than helping inner cities,’ he said. However, research by green campaign group Milieudefensie, also published on Friday, says just one in 10 city residents want more room for cars and a clear majority favour measures to reduce traffic. ‘It is now up to local politicians to take the wishes of residents seriously,’ campaign leader Anne Knol said. In particular, the Milieudefensie poll showed 72% of people in the big cities back measures to ban polluting cars. However, removing parking spaces and increasing parking fees are less popular actions.